Nice volume bro. Almost hit triple figure reps.
And. Is my training bothering you? Trying to confuse the training log right? 150x1 board. Miss load. Mate put a 10 on one side instead of a 5. Unrack was a mess. Managed to press it up. But lower back wasn'thappy. Just won an auction for a commercial incline bench. will be a solid addition to the gym. 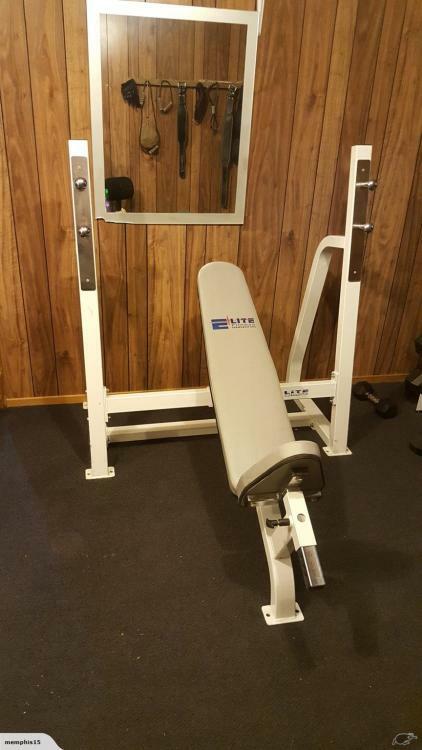 Picked up my new incline bench today. It's solid af. Elite fitness commercial one. Won't be breaking this. Pretty good session today, pecs still sore from the incline. Hey bro haven't been reading your journal for a while as I've been busy. Just letting you know that I'm in again now and will be reading all posts in here subsequent to but not inclusive of this one which I'm not going to read as I already know what it says because i just wrote it. Is your profile pic Edward Norton lol? Pumped hitting 250, only a 2 inch block. Was a bit dodgey on the lockout, and i only locked it for a second. But hey it went and felt awesome to get. Was trying not to pass out. pretty rattled after.